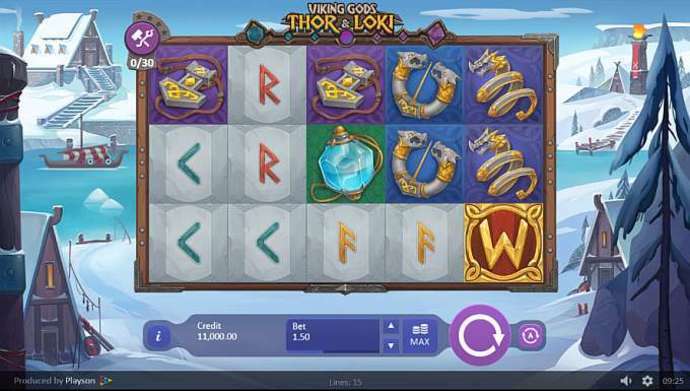 Here's a superb new online slots game from Playson called Viking Gods. This game, which you can play focuses on the clash between two of the great Nordic Gods: Thor and Loki. The two mythical figures face off head-to-head in this battle for dominance. Check out our entire list of Slots games now. This online slot is full of colour with some pixel-perfect graphics to display every inch in high definition. Additionally, if you love promo's, get the best recent slot offers today. Playson’s game is renowned for their use of high definition graphics and the constant implementation of new technology across their list of titles. They boast a catalogue of over 40 titles overall. Some of the more recognisable names they’ve developed include Marioni Show, Clover Tales and Art of the Heist. The game is beautifully designed and has five reels. Set against the background of a snowy Viking settlement, the game carries a quite breathtaking visual. Your initial stakes can be set between 0.30 and 105.00. Onto the symbols used in the game and they are two main types: those of higher value and those of lesser value. The symbols with the most value will also appear on the reels less frequently and therefore those with the least value to you will appear on the reels the most frequently. The lower value symbols include the rune stone, while the higher value symbols include the pink and blue Viking crystals. The game’s Wild icons are the individual Thor and Loki symbols. The Wild symbols have the ability to substitute themselves with any other icon in the game in order to help you create one of the big winning combos. The only exception to this rule is the game icon itself. 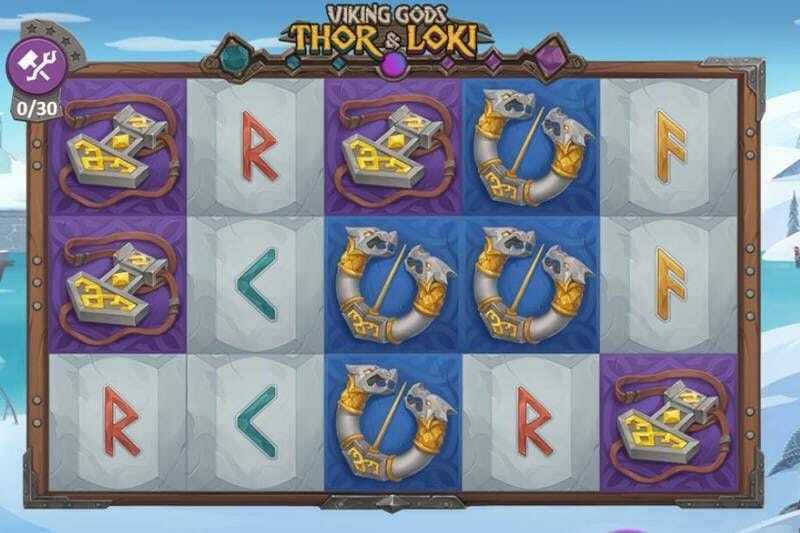 In addition to this, Viking Gods: Thor and Loki have two bonus modes: Viking Gods mode and Free Spins mode. Vikings God mode is activated whenever a Thor or Loki symbol lands on the middle real. During this bonus feature, landing one bonus symbol will result in two additional Wilds being added on. This can really help you land some massive combos and pile up a potentially huge payout prize. In Free Spins mode, you can be granted up to an extra 10 Free Spins. Free Spins mode can be activated by piling up a stock full of Viking crystals. Once the Free Spin mode is activated, you could be given an expanding Wild which can even bring even more value to your game board and make your prize pot grow even bigger! Also in this Free Spins mode, all Wof wilds will be locked until they end up forming part of a winning pay line. Also, the varying values of the Viking crystals you’ve gathered will unlock even higher levels in the game.